WASHINGTON — Next time you run to Giant to pick up a gallon of milk or a carton of eggs, you could cross paths with a roving robot named Marty. 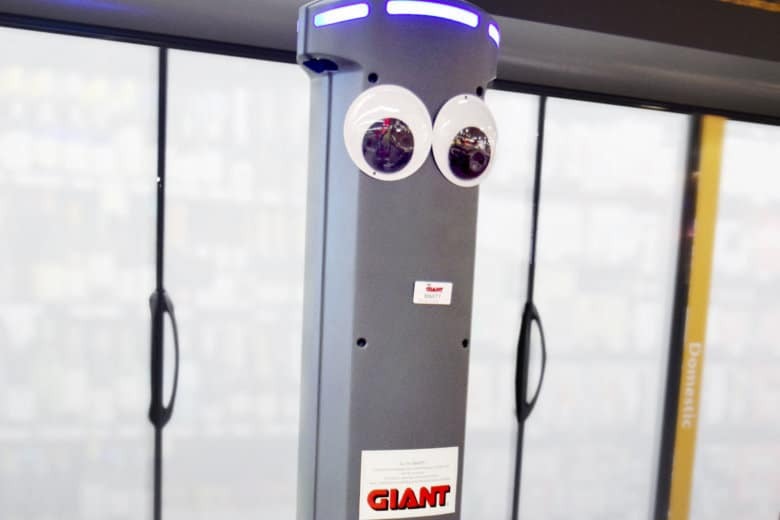 Nearly 500 of the googly-eyed helpers are being deployed as part of a tech push by Giant Food parent company Ahold Delhaize USA, which also owns Stop & Shop and Martin’s, and its Retail Business Services arm. According to the company, the in-store robots have been used to identify hazards like spills and report the issue to employees. The idea being that store associates will be freed up to assist customers while Marty patrols the store. “As part of our continued focus on technology transformation, we’re pleased to support one of the most significant deployments of robotics innovation in the grocery retail industry,” said Paul Scorza, EVP and chief information officer for Retail Business Services, said in a news release. “We’re pleased to support the Giant/Martin’s and Stop & Shop brands as they now lead the industry from test to large-scale usage of robots and to see the benefits the technology continues to drive for their businesses,” Scorza continued. 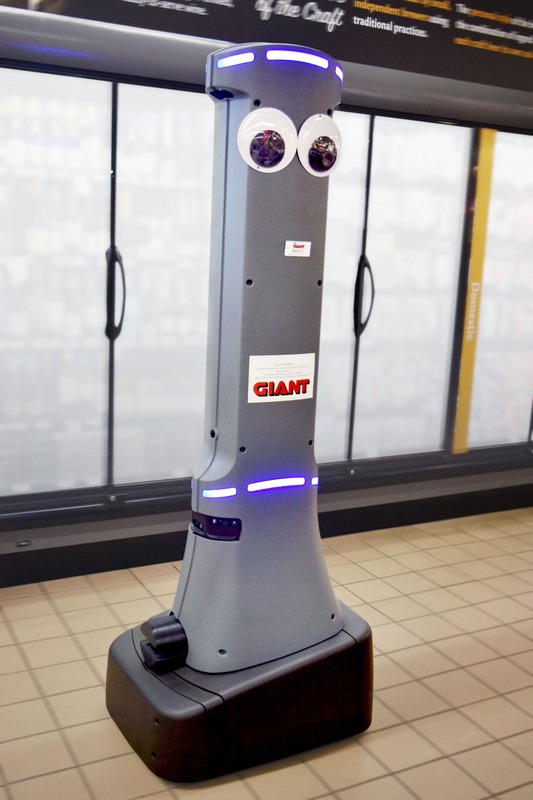 The robot rollout to Giant’s 172 stores in Maryland, Virginia, Pennsylvania and West Virginia is already underway and the company says it will continue through the early part of 2019. Of course, as science fiction and B-movie aficianados are aware, this is just another all-too-familiar step on the robots’ road to googly-eyed dominance over humankind.